A Recipe in the middle of the week! Say it ain't so! Sorry, I can't say that. It's true. You're getting ready to hear about one of my very favorite spinsterhood recipes. Of course it's good for parties, but it's also good for a single lady, cooking for herself. Ham delights are basically amped up ham sandwiches where the cheese is melted and delicious. You have to make a whole pack of rolls at the same time, so it's perfect to make a bunch at the beginning of the week and just keep eating them until their gone. Hopefully that won't all happen in the same night. I like them for breakfast, too. Cold, of course. - Mix the margarine, mustard, and worcestershire sauce in a pan on the stove until blended together. - Cut the whole package of rolls in half longways like a big sandwich. - Put a layer of ham an the rolls, then a layer of cheese. - Put tops of rolls on top of all of this. 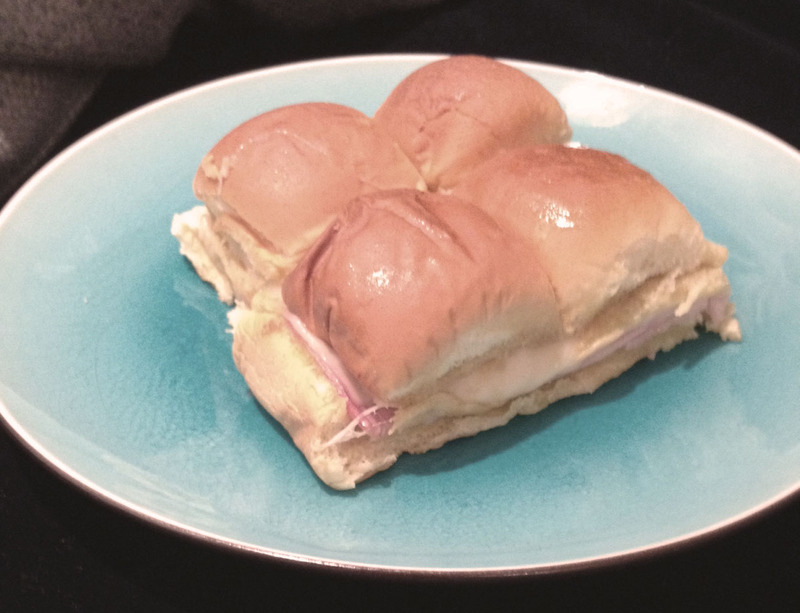 When you take them out of the oven, let them cool a little and then cut the buns into little individual sandwiches. They'll look like little ham sandwich sliders!